May 2014: Tips, eNews & More! 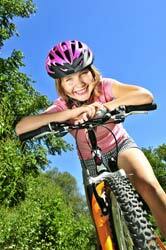 Use a good mouth guard for playing sports such as soccer and football to protect your teeth. Contact our office and we can provide you with a high quality, properly-fitted mouth guard. Make your Mom smile on Mother's Day on Sunday, May 11th and enjoy the Victoria Day long weekend on Monday, May 19th. We hope that you make some great plans for the moms in your life. Save the date! Dr. Benedict is thrilled to be celebrating his 10th anniversary. Join our team for a celebration on Thursday July 24, 2014 from 6pm – 8pm. We are hosting our Annual Sports Mouthguard Clinic on Wednesday August 13, 2014 from 5:00pm – 8:00pm. 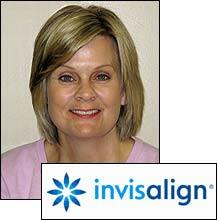 Well, it has been 15 months and I have completed my regular Invisalign treatment. My attachments were removed on April 22, 2014, and I am so happy with the results. My smile looks wonderful! Upon completion I received custom-made retainers which I will wear to keep my teeth in their new position. Studies show that without wearing retainers, teeth can gradually shift and this is the best way to maintain your new smile long term. The first set of retainers are worn for 3 months all day, the next set is worn every evening for 3 months. Eventually you will only wear the retainers 2 to 3 nights a week. Click here for more on my transformation and to see the results! 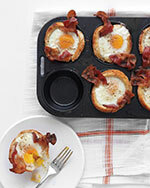 Looking for a delicious breakfast recipe to treat your mom this Mother's Day? Opt for this innovative breakfast and she'll be able to keep up with all your fun mother's day plans all day long! This recipe is easy to follow and each bite will provide your mom with a nice dose of quality protein and carbs. Not to mention, they're tasty!